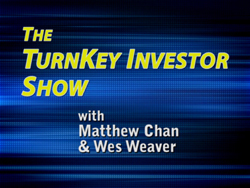 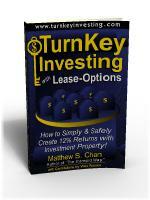 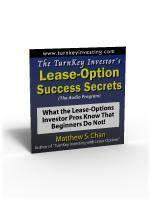 Welcome to the brand-new TurnKey Investor’s Blog! 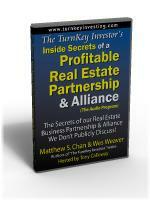 This blog will allow me the freedom to more quickly provide real estate investor-specific updates and comments to TurnKey Investor customers and readers that I cannot easily do with conventional web pages. 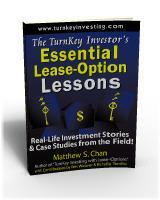 I plan on providing updates, corrections, and errata to the various TurnKey Investor educational products that I publish and sell. 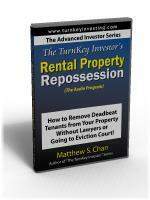 As most of you know, the real estate market and laws continues to change and evolve. 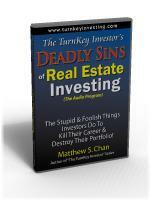 There are also exceptions and unusual situations that come up in the real-world of real estate investing. I can better acknowledge and discuss those issues through this blog. You will get maximum benefit from my educational products if you consult this blog from time to time. 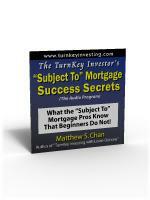 Finally, I will try to answer questions with this blog that are frequently emailed to me. I trust you will find this new resource helpful as I add more posts over time.